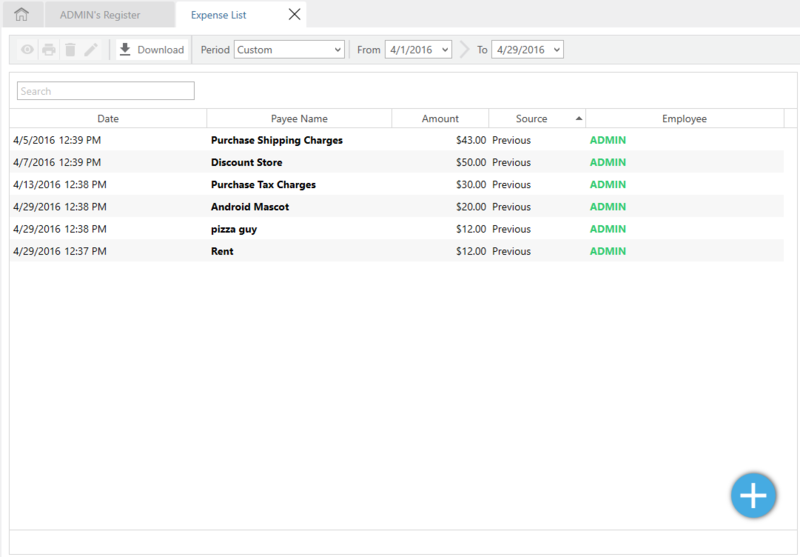 The List of Expenses allows you to view, print, delete and edit your expenses. You can also create a new expense through the List tab by clicking on the Blue Plus icon. Then, click on the Expense icon. Select the expense from the list. Click on the Eye icon from the options above to view the Expense. Click on the print icon to print the Expense. Click OK to delete the expense. Click on the pencil icon to edit the expense. Change the date: Change the date of the expense you created by clicking on the drop-down menu and selecting a date from the calendar and clicking save after making changes. Select a different payee: Change the payee of the expense by clicking on the drop-down menu of payee and selecting the desired payee from the menu and clicking save after making changes. Change the expense amount: Enter a different amount in the amount field and click save after making changes. Edit expense notes: Enter or edit your notes in the notes box of the expense and click save to save the changes.